In many beach bars on Loh Dalam and Ton Sai Bay. For example, ibiza bar on Loh Dalam ... if you like loud music ! Have a drink in early evening or late evening. 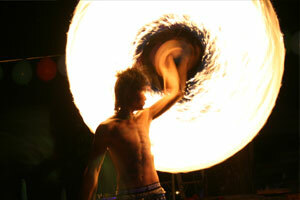 Around midnight, fire show become even more spectacular. The price of a drink. For pricing, please refer to our page "What to drink in Phi Phi?" 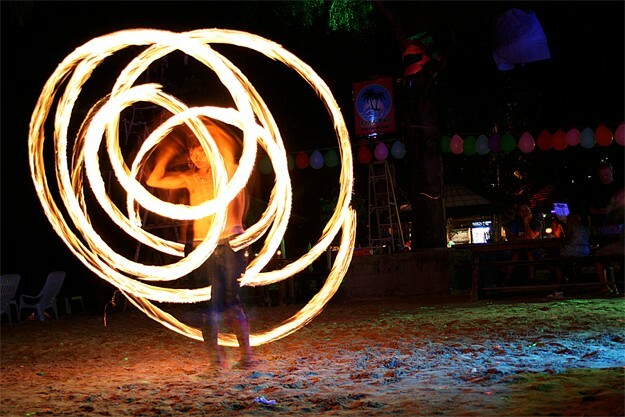 You can see Fire show, for example, at Ibiza Bar on Loh Dalam Bay.